If you are located in Kilburn NW6, don’t wait for a miracle to clear your property. 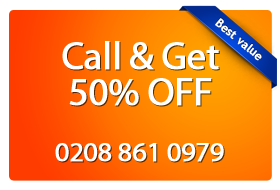 Now you have Magic Carpet Cleaning and the only thing you should do is telephone 0208 861 0979. You can trust our professional cleaners who will take care of your home or office. We keep in line with the innovations in the field that enhance the quality of services in the area of neatness. Our teams are able to remove even old soil from the fabrics. We care for the environment and your health, so we don’t use any harsh chemicals and our detergents are made of natural ingredients. No bait and switch tactics, no hidden fees and charges. Our staff is fully certified. The Steam Carpet Cleaning is the ultimate cleaning method for your home. It helps destroy all allergens found in your rugs. This happens because of the use of water and cleaners under high temperature. If you are prone to allergies or have children at home, the hot water extraction approach is the most appropriate one for you. You should know that we have both the professional cleaners and the modern equipment to perform a thorough cleaning of your home or office. This is one of the most effective methods for sanitation. Dry Carpet Cleaning, as the name suggests, is a cleaning method which does not use water. This makes it extremely useful for cleaning of big commercial buildings, offices, retail outlets and other public spaces because it doesn’t make visitors wait until the treated surfaces are dried. Lack of water also prevents the formation of mold, and the tissue life is prolonged. The washing process includes rubbing detergents in powder form in the fabrics. These detergents are made from 98% biodegradable substances and thus protect nature. If you are fed up with cleaning your home or just want to have it cleaned by professionals, you can achieve this by calling 0208 861 0979. You will find a team of professional cleaners who are ready to help you. They can treat all kinds of materials – wool, cotton, bamboo, coir, hemp, jute, sisal, nylon or polyester and all kinds of stains – coffee, traces of pet urine, wine, food, chewing gum, chocolate, etc. Our employees have all the necessary certificates to work with specialized equipment and chemicals – acid, alkaloids, etc. Our ultimate aim is your satisfaction! Call now and schedule a service with our qualified cleansing staff because they will bring the shine back to your home. And remember that Magic Carpet Cleaning is here to help you.